A workshop report summarizing the contents and discussion of the workshop can be found oline. The organizers would like to thank all the participants for making SciKnow 2017 a great success. The aim of SciKnow 2017 is to bring together researchers interested in representing and capturing knowledge about science so that it can be used by intelligent systems to support scientific research and discovery. From the early days of Artificial Intelligence, researchers have been interested in capturing scientific knowledge to develop intelligent systems. There are a variety of formalisms used today in different areas of science. Ontologies are widely used for organizing knowledge, particularly in biology and medicine. Process representations are used to do qualitative reasoning in areas such as physics and chemistry. Probabilistic graphical models are used by machine learning researchers, e.g., in climate modeling. In addition to enabling more advanced capabilities for intelligent systems in science, capturing scientific knowledge enables knowledge dissemination and open science practices. This is increasingly more important to enable the reuse of scientific knowledge across scientific disciplines, businesses and the public. Although great advances have been made, scientific knowledge is complex and poses great challenges for knowledge capture. This workshop will provide a forum to discuss existing forms of scientific knowledge representation and existing systems that use them, and to envision major areas to augment and expand this important field of research. The increasing emphasis in open science has had a major focus on data sharing but it needs to encompass knowledge as well. There are many research challenges in open sharing and reuse of scientific knowledge that need to be addressed in future research. 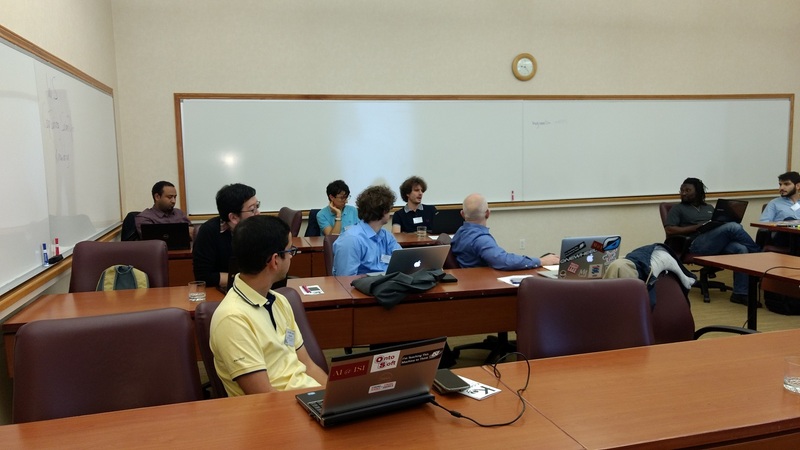 SciKnow2017 is the second version of a series, which started at K-CAP 2015 with a full day event (https://www.isi.edu/ikcap/sciknow2015/). 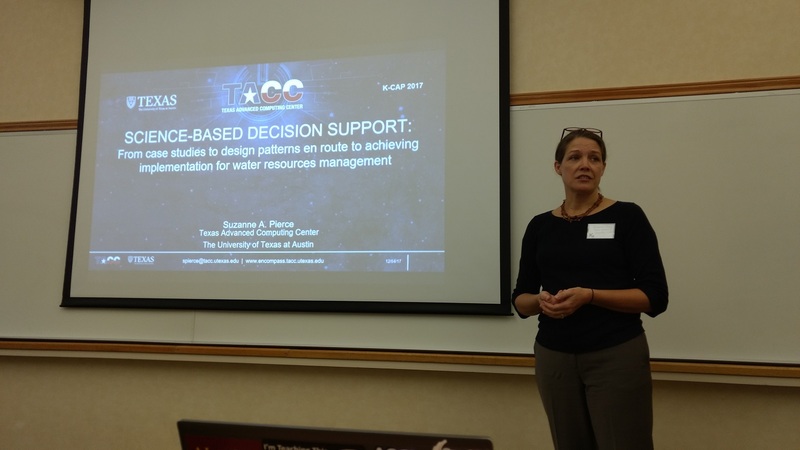 9:30-10:30 Invited talk: Suzanne Pierce (TACC): Science-based decision support: From case studies to design patterns en route to achieving implementation for water resources management. "Capturing Scientific Knowledge for Water Resources Sustainability in the Rio Grande Area" Natalia Villanueva-Rosales, Luis Garnica Chavira, Smriti Rajkarnikar Tamrakar, Deana Pennington, Raul Alejandro Vargas-Acosta, Frank Ward and Alex S. Mayer. "Semantic Modeling for Accelerated Immune Epitope Database (IEDB) Biocuration". Gully A Burns, Randi Vita, James Overton, Ward Fleri, Bjoern Peters. "A Workflow Design Methodology to Improve Reproducibility andReusability of Computational Experiments". Yolanda Gil, Daniel Garijo, Margaret Knoblock, Alyssa Deng, Ravali Adusumilli, Varun Ratnakar, Parag Mallick. 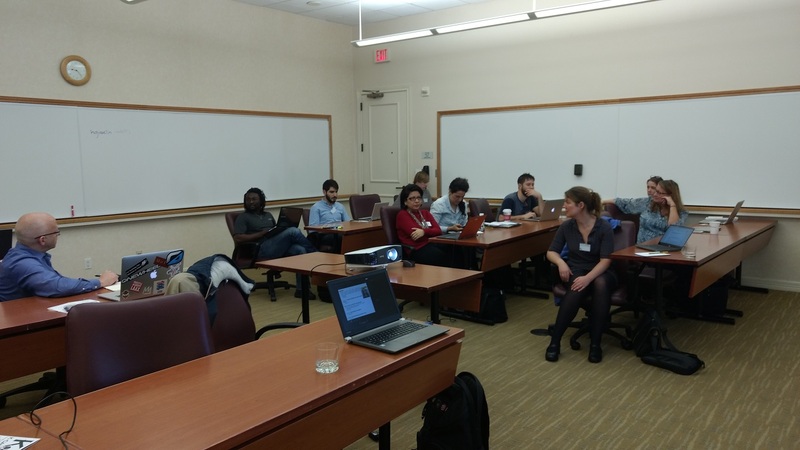 "NiW: Converting Notebooks into Workflows to Capture Dataflow and Provenance" Lucas A. M . C. Carvalho, Regina Wang, Yolanda Gil and Daniel Garijo. "How plausible is automatic annotation of scientific spreadsheets?". Martine de Vos, Jan Wielemaker, Bob Wielinga, Guus Schreiber and Jan Top. "Requirements for Facilitating the Continuous Creation of Scientific Workflow Variants". Lucas A. M. C. Carvalho, Daniel Garijo, Bakinam T. Essawy, Claudia Bauzer Medeiros and Yolanda Gil. "Capturing Hypothesis Evolution in Automated Discovery Systems". Daniel Garijo, Yolanda Gil and Varun Ratnakar. Successful knowledge capture and representation formalisms are used in a variety of scientific domains, what are their key features and merits? Scientific knowledge is inherently complex and requires significant effort to capture. What are effective approaches to model and to acquire scientific knowledge? Given the variety of representation formalisms for scientific knowledge, how can they be combined to enable more advanced capabilities? What approaches can support the uncertainty and evolution inherent in scientific models? Imagine what scientific breakthroughs might be enabled with improved representational schema of existing scientific knowledge, and of course the subsequent capture of additional scientific knowledge. What are effective approaches that enable open sharing, dissemination, and reuse of scientific knowledge? Report papers: Overviews or summaries of past work on approaches to represent and capture scientific knowledge. Research papers: Novel results of research on scientific knowledge representation or capture. Position papers: Discussion on issues concerning the representation, capture, and dissemination of scientific knowledge, particularly to facilitate cross-disciplinary integrative science. Challenge papers: Specific scenarios that describe the benefits to science if the limitations identified are overcome. Submissions should be up to 6 pages and in the format of the ACM SIG Proceedings template: http://www.acm.org/sigs/publications/proceedings-templates. However, SciKnow 2017 explicitly welcomes alternative and enhanced submission formats, such as HTML submissions. Authors who are preparing such a submission should contact the workshop organizers in advance to make sure we can accommodate for them in the submission and review process. Submissions should be emailed to sciknow2017@gmail.com. Accepted papers will be made available on the workshop site.